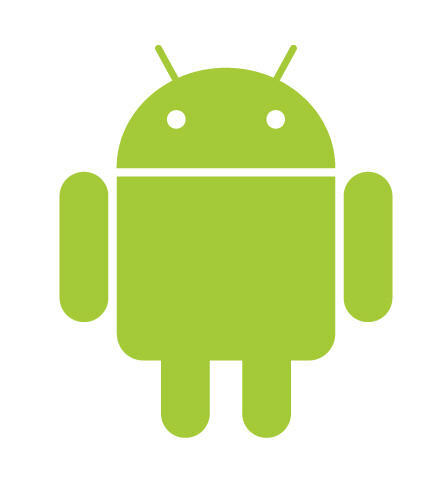 Mobile Money Asia: Mobile Payments and Android. Are you ready? Mobile Payments and Android. Are you ready? "Everything takes longer than you think and then it's suddenly been there all along" That is my pitch on mobile payments in a nutshell and is always followed by the question "Will YOU be ready?" That said some things DO come faster than you think. The convergence of low cost smartphone and mobile payments has arrived. G-Cash in the Philippines, a mobile payment service targeting the unbanked the last 6-7 years, has launched an Android app. Just a short (4 years) time ago you had to register and transact on the service via '/' delimited SMS messages in a specified format. It was a user experience nightmare that few could get correct without assistance. It was the assumed necessary evil as the masses, we were told, only had access to SMS or USSD. Step change is occurring rapidly behind the scenes. Feature phones are disappearing in urban areas and being replaced by Chinese, Indonesian, and Indian low cost android or blackberry handsets. Data is the new killer app as it drives secondary commerce opportunities. Data is certain to slowly become as or more important than network airtime. The evidence is Telcos selling network infrastructure and trading their business model from pushing minutes to driving mobile marketplace margin. Mobile Marketplaces need mobile payments. MCB Bank proved in Pakistan that feature phone functionality isn't the real barrier we perceive it to be by reaching consumers with the award winning, transaction generating, Mobile Web only, MCB Mobile service. But that was a bank targeting existing bank customers so it was assumed a higher end consumer and not a relevant peer to mass market services. G-Cash has been targeting the mass prepaid consumer without doubt since launch. The fact that they feel an Android app is worth their effort signals to me that change is happening. This marks the end of the beginning. Expect mobile payment volumes to start to rise over the next 3 years on cost smartphones in disproportion to market penetration. Expect the bandwagon to overflow with followers trying to capture the profitable "prepaid smartphone consumer". Android OS handsets provide the security, customer experience, aspirational feeling, and finally the price point to get large numbers of handsets into the market. It's only the end of the beginning and the middle might take longer that you think. Marketplace merchant players and mobile financial services providers will start to see the glimmer of volumes required for real investment in the industry to find the long tail of it's potential. Aaron Oliver has over seven years working in mobile payments and commerce, and close to seventeen years in the information technology industry. He currently works in business development for mobile payments in a global payments company in Singapore. Aaron, I think you are right that the rise of cheap smartphones has happened quickly and will only accelerate. It might seem premature to talk about "Next generation" mobile money for the unbanked market, but we're all starting to realise that the financial needs of the bottom of the period are quite complex. Too complex to manage over USSD and SMS, for sure! It might take a while for customers to get smartphones, but it won't take long for mobile money agents to get them. With a richer interface and more security, agents may be able to move beyond being cash-in / cash-out points, but can also start to be the gateways for true financial inclusion - credit, insurance and more suitable savings products. We talked about this very subject at WING a long time ago, and whilst it is inevitable, I've never been able to find any research into the used/second hand phone markets and particularly how long it takes for today's iPhone to end up in the hands of a rural user in a developing nation and thus make building such an application worthwhile. 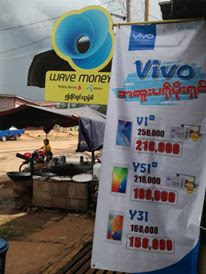 My guess would be about 5-10 years, but even so, that means there are numerous 'smart' phones that are already seeping out into the second hand market and make more graphical/user friendly interfaces possible; in Cambodia for instance, developing a Khmer language application for a smart phone is a lot easier than getting all 7 MNOs to allow Khmer unicode on their USSD gateway. The second challenge lays in the ability to distribute such a mobile application. Again from experience this is a lot harder than it seems due to the variance in 'Smart' phones and how they all interpret mobile standards such as J2ME. To my mind the best route is to offer a 'mobile SaaS' based solution as that allows you to effectively future proof any application or service that you're providing access to. After all, which user (aside from Facebook/Twitter app users!) wants to download (and pay for indirectly) a new version of their software every month - certainly not the mass market segment that mobile money generally aims at. Finally, mobile data services usually cost money - USSD doesn't. worst still, data costs in developing nations are quite high, and wi-fi alternatives generally quite hard to come by in rural areas. Whether you have an application to install, or just the minute number of kilobytes for transaction information, it ends up costing the customer airtime. Is the solution as simple as giving customers a small bonus of free data usage to cover anticipated mobile money application/transaction data IF they do an electronic top up via the MNOs mobile money platform/partner? Watching this space with great interest! KYC for Mobile Money - Why is it so hard?